One woman, alone in her bathroom. The outside world is disgusting but her bathroom is a wipe-clean sanctuary to escape to, to hide in, to worship. But, there is something lurking beneath the bath, the sort of thing you wouldn’t want anyone else to see. As her inner and outer worlds collide we discover a woman living on the edge of fantasy, where it is all too easy to be completely consumed by her fears – what is clean and what is dirty? 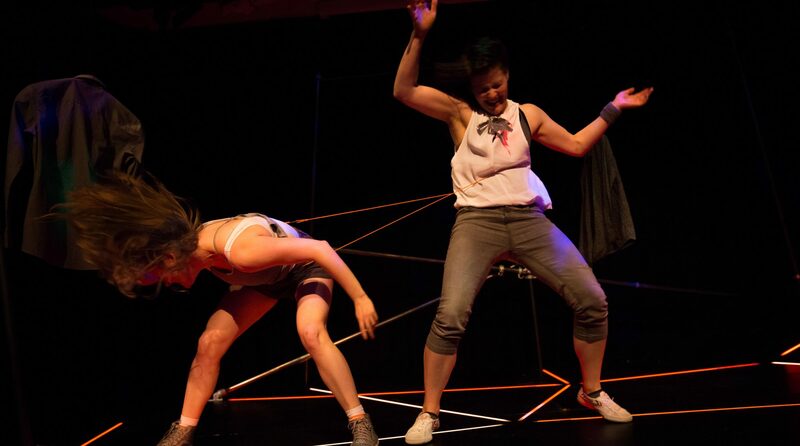 Exploring our most intimate insecurities and our darkest fantasies, Sanitise is a darkly playful production without words combining physical theatre, dance, music and animation. Santise is available for touring nationally and internationally.